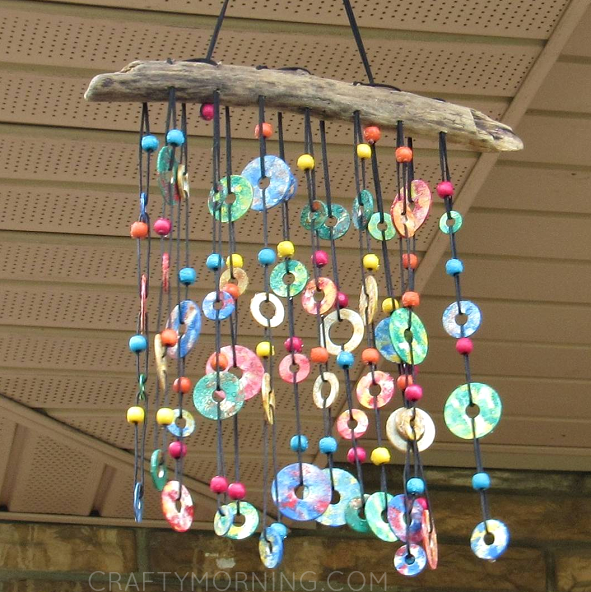 Paint metal washers then use them to make a colorful wind chime for the yard. It’s easy to do and it looks (and sounds!) beautiful.